When Allshine’s employees are on your property, they thoroughly hand wash windows, window sills, outside window tracks and brush the screens. they also take great care and consideration for your home and landscape. Call today or fill out the free estimate form for a free, no obligation, estimate. (817) 946-5360. Booties are worn and throw cloths used to prevent debris and water drops from being left in your home or place of business. Having windows cleaned regularly by professional window cleaners will keep your home looking its best. 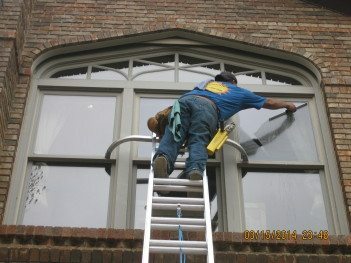 Allshine residential window cleaning business has the experience to do the job right the first time, with the highest quality in the industry. Trained professional window cleaners will arrive at your home on time and pvirode exceptional residential window cleaning results in a timely fashion. Allshine’s residential window cleaning experts are respectful and polite. We keep all appointments and contact you by phone with any scheduling changes due to weather. If we are going to be more than 10 minutes late, we call the customer and make a time adjustment. Allshine generally sends a two person team to wash your windows. An average residential window cleaning takes three hours, depending on the number and accessibility of your windows. When our residential window cleaning service schedules a service we work with your schedule and give you the choice of a morning or afternoon appointment. Due to unexpected request for additional services, we plan for a two hour window when scheduling our residential window cleaners to arrive. At the end of every job, we give you the option of checking the quality of our work in order to assure your satisfaction. We strive to help you feel comfortable using us again and again and when the time comes, give us the greatest gift a cleaner can receive, yourreferral for our Residential Window Cleaning Colleyville TX. Allshine residential window cleaning company employees are trained to safely remove heavy dirt buildup and excess debris. They are extensively trained in all aspects of the residential window cleaning process, from left over construction debris to severe calcium deposits. 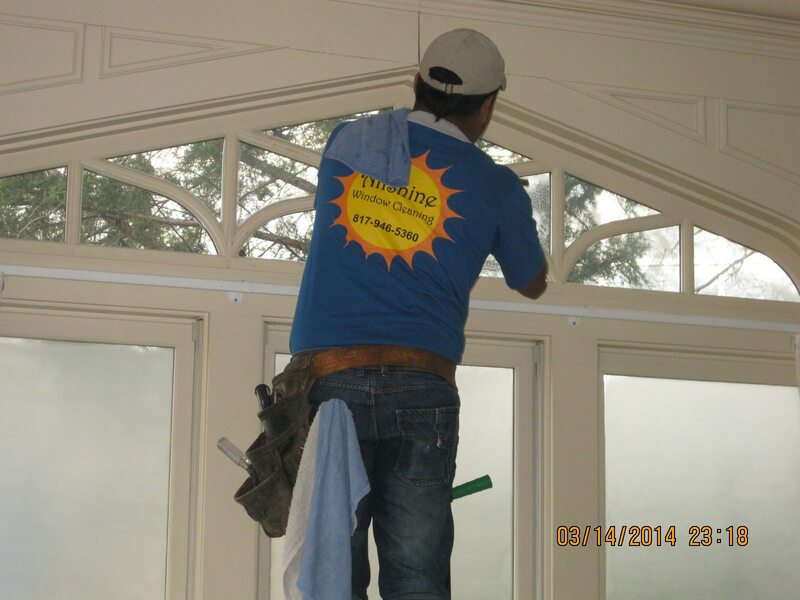 Dealing with extreme restoration cleaning is our specialty. We will let you know what to expect by performing a test in inconspicuous areas before performing restorative cleaning on troublesome surfaces such as tempered windows. At Allshine Window Cleaning Service, L.L.C. we provide superior window cleaning with a complete CUSTOMER SATISFACTION GUARANTEE. We have a one-week rain guarantee. 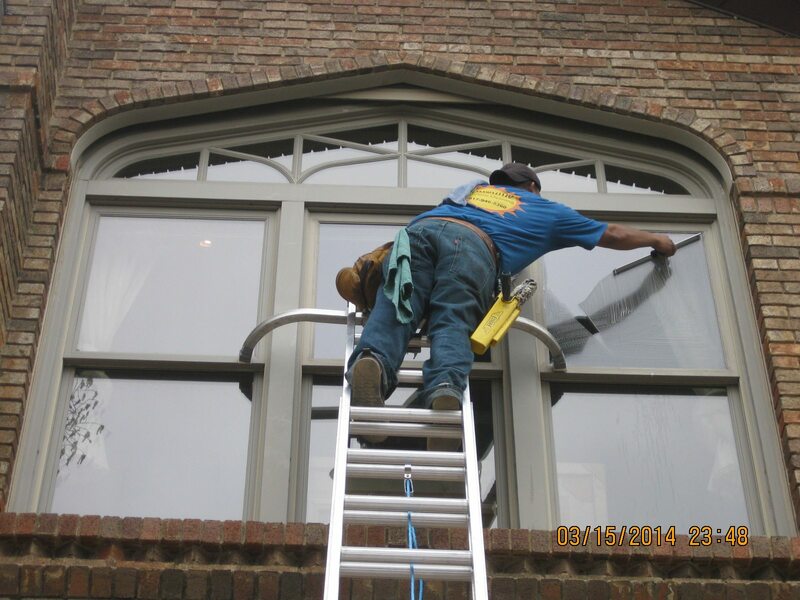 If it rains within one week of your service we will gladly come out and re-clean your exterior windows! The highest compliment a customer can give us is a referral to their friends and family.